Happy Monday! OMG, I can't believe we survived last week. It was a rough one. My kids are going to be the death of me. My oldest had his first autism meltdown at school this week. Fortunately, I work right down the street from his school and was able to drop by and calm him down. Also, had a great conversation with his concealer about how to best deal with these meltdowns and how to avoid them as best as possible. My second son decided to run away from school on Thursday and I was called to pick him up. Mister Man got himself suspended. That was a new one for us, but he's learning to deal with his impulses and with school being new again, its going to take him a while to learn how to cope again. My youngest is having separation issues as most kindergartners are. He's been very understanding when I tell him I have to go to work, but its still heartbreaking to leave him when he is feeling sad. Poor little guy. As you can see, its been a rough week. 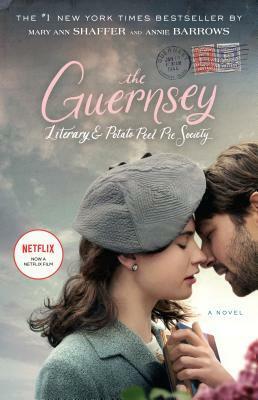 This weeks read is going to be The Guernsey Literary and Potato Peel Pie Society. I know I touched on this story a couple of weeks ago when I watched the movie, which I absolutely loved by the way. This go around, I'm going to read the book to see if it really is as good as the movie. Who is with me? I'm hoping with my Monday to work on some of my writing. Last week didn't really work out as I had planned with everything that was going on. 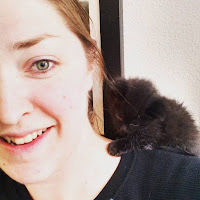 Between all my house work, grocery shopping and getting the boys to and from school, I had friends over in the afternoon and again in the evening. There really wasn't much time to finish my laundry, let alone put pen to paper so to say. What do you have planned for this week? 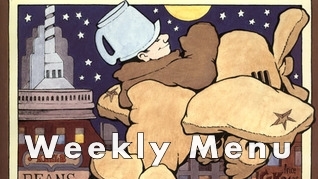 I would love to hear what your weekly read is and what you plan on cooking. Leave me a comment below or send me an email. Enjoy this weeks menu!